SuperGreens is a blend of nature’s most nutrient rich green superfoods, composed of spirulina, wheatgrass, barley grass and alfalfa These greens are the best known sources of high quality nutrition, containing a complete nutritional profile of thousands of components. Supergreens offers a wide spectrum of highly concentrated bioavailable chlorophyll, enzymes, high quality protein, phytonutrients, vitamins and minerals, all balanced by nature and more effectively absorbed than those found in synthetic formulations. Health benefits : detoxifies and alkalizes the body, acts as a powerful antioxidant, boosts the immune system, increases energy and endurance levels, assists weight control, stabilizes blood sugar levels and lowers blood pressure, improves metabolism and digestion, promotes wound healing, prevents premature aging, provides a sense of well-being along with numerous other health benefits. 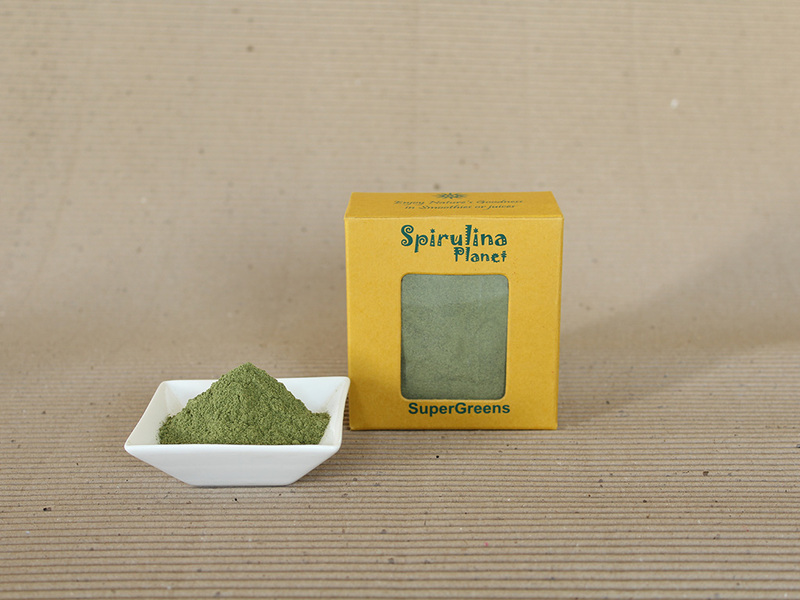 Usage and dosage: Supergreens is a blend of natural whole foods. There is no fixed rule on how much one should consume. Start with 1 measuring spoon (2g) per day, then adjust according to requirements up to 6g daily. Higher doses may be taken. Children: ½ the adult amount. Mix into juice, smoothie, salad dressing or any other food. Special tip: take in the morning on an empty stomach with lemon juice or any other fruit juice. 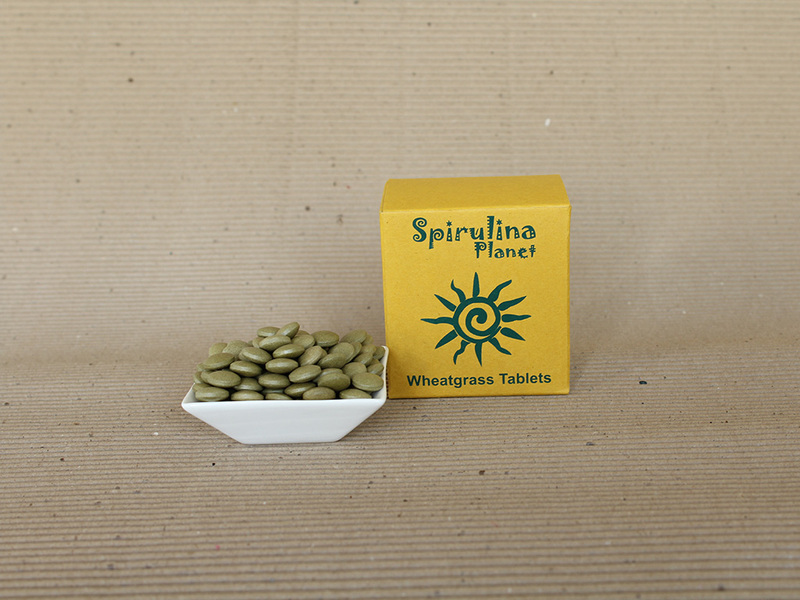 Ingredients: Spirulina (40%), wheatgrass, barley grass, alfalfa each 20%.